Brokers of Your Success: Whether buying or selling we're here to help. BROKERS OF YOUR SUCCESS: A home is not a home because of the size of the rooms or the color of the walls. It is about how you feel when you walk through the front door. We believe that all Americans, and all who come here, can achieve and live the American Dream of home ownership. Every day we have the privilege of serving and helping people fulfill their dreams. Buying a home or selling your place is more than just a major lifestyle change; for many it’s the largest financial transaction they will ever undertake – it’s a big deal. ARE YOU IN THE MARKET FOR A NEW HOME? The rebound of the housing market has meant a boost to the new home market. This is good news for buyers competing in a seller’s market of limited inventory, as it gives buyers a great alternative. Nonetheless, the area has great choices for any need or price range. We’ll help you to focus and to secure the home of your dreams. WANTING TO MOVE ON? 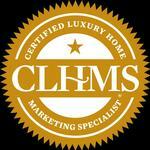 We endeavor to help you in preparing your home to compete in the marketplace. Buyers, on average, will look at ten homes before making a buying decision. That means your home will be compared to nine others. A little polishing and preparation will go a long way towards getting it sold in the shortest time possible for the most amount of money. SERVICE THAT CONTINUES AFTER THE SALE: We devote ourselves to serving the needs of our clients before, during and after each sale. You can expect us to keep in touch. Nexus One Properties is a full service residential real estate company with proven professional, state of-the-art techniques in helping buyers and sellers with their real estate needs.